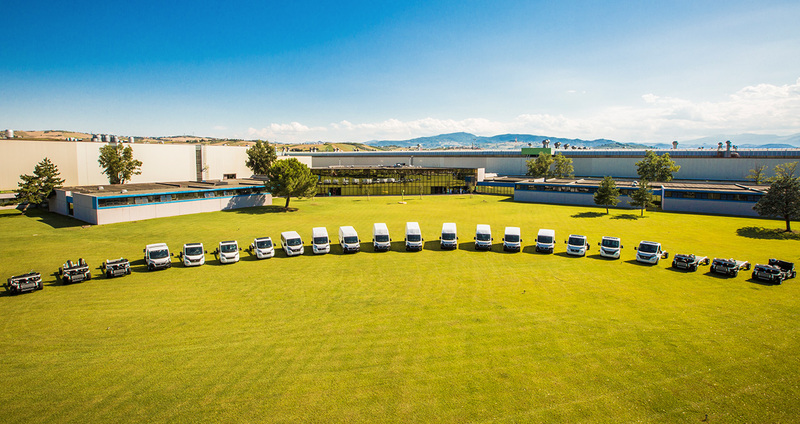 Thirty-seven years ago, Ducato revolutionised the light commercial vehicle segment and the revolution is still underway. The current, sixth generation has the highest payload in the sector. The exceptionally balanced chassis and specific suspensions for camper vans ensure safety and dynamic behaviour in all road conditions. A large number of active and passive safety devices provide peace of mind, even with the family on board, without ever skimping on comfort. Today, three out of four motorhomes sold in Europe are Ducato-based and the last ten year more than 500.000 families enjoy their holidays on a Ducato based motorhome. This leadership reflects the capabilities of the Fiat Professional best-seller for driving the motorhome-product evolution, anticipating the needs of users from the very beginning. For instance, the first Ducato motorhome base implemented many substantial technological improvements capable of adapting to the needs of recreational vehicles. The first was front-wheel drive and transverse engine to clear usable room behind the cab. From generation to generation, each Ducato has introduced innovations aimed at improving recreational vehicles in terms transformability for converters and in terms of usability for campervan users. Not by chance, the Ducato motorhome base has constantly evolved by teaming up with the most important European converters, offering overtime special, lower and lighter chassis, wider track, cut and consolidated roof cab, squared shape designed to the exploited in a wider range of ways and, in general, an excellent proportion of volumes and a very favourable ratio between mechanical dimensions and usable space. Ducato has always offered modularity, driveability and versatility, features which – in brief – have ruled its success together with constant innovations smart solutions aimed at improving the quality of life on-board, such as swivelling seats “captain chairs”.